* It has a stuck protection function,can protect the motor from damage. * Built in 2MP HD camera are tuned amazingly to capture stunning pictures and videos from the sky. * With Headless Mode,no need to adjust the position of aircraft before flying. By Joseph and Elizabeth R.
This little thing is so freaking awesome!! I really love playing with it. My husband has gotten a few different ones and most he could control pretty well but I had some trouble. 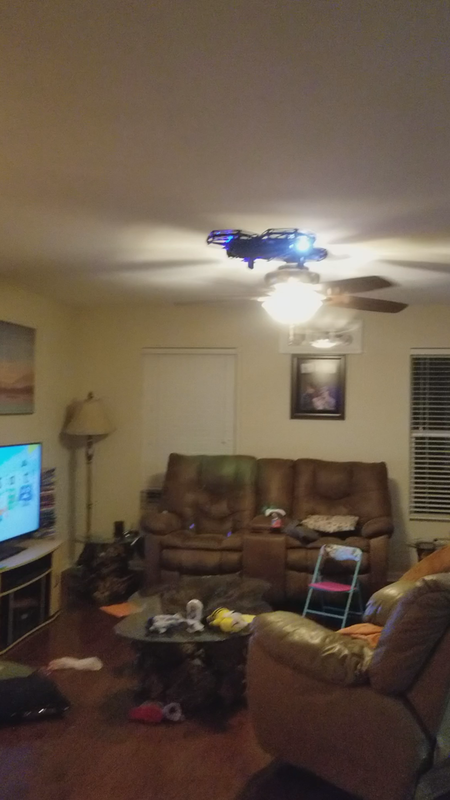 This one is so great for someone starting out, it's incredibly easy to control and hovers nicely without me accidentally sending it to the ceiling and then the floor like I did with the others. The camera app is really cool and let's you see what the drone sees, the camera looks great. The size is just bigger than my hand and it lights up a dark blue. I love it. I like this quadcopter .It comes with battery and charger.when i bought mine i thought it was going to be really cheap made but is actually very nice material it is very light weight and fly's super fast, and high i really love this quad copter and i have fun using the battery lasts like forever and charges really quick the camera works great for the price its amazing drone.This quad copter is amazing has a really good stability and really simple to fly. The quad-rotor E33W is my first drone. It was not difficult to start making small flights. Only the accelerator is a bit sensitive and the first few flights in the garage hit the roof several times, fortunately the propeller guards and the landing great. The propeller guards are good, it is soon to fly. Each battery allows a flight of 8 to 10 minutes. Good drone!The picture and video is amazing ,Better than I want. Excellent drone at an excellent price. Love this drone. Simple to operate, and an excellent choice for my 11 year old. Many replacement parts for the expected repairs after he crashes it a dozen times. Cool lights on the bottom as well as a camera. Knowing my son he may use for scouting deer during hunting season. Anyhow, glad I bought it and super glad I didn't have to break the bank I'm order to buy it. 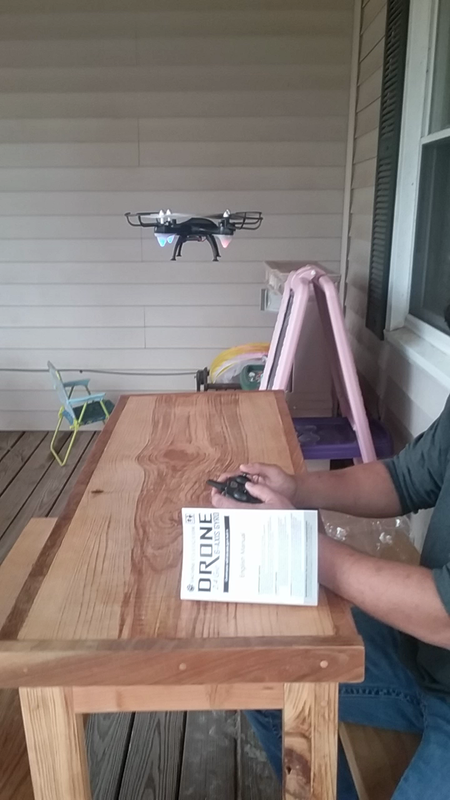 The drone flies very well, I'm impressed considering the price of this item. The manual says it's english, but engrish need more accurate. The video in the item description helped a lot though. I agree with the other reviewer saying the FPV is great. and it's a fun addition for kids.